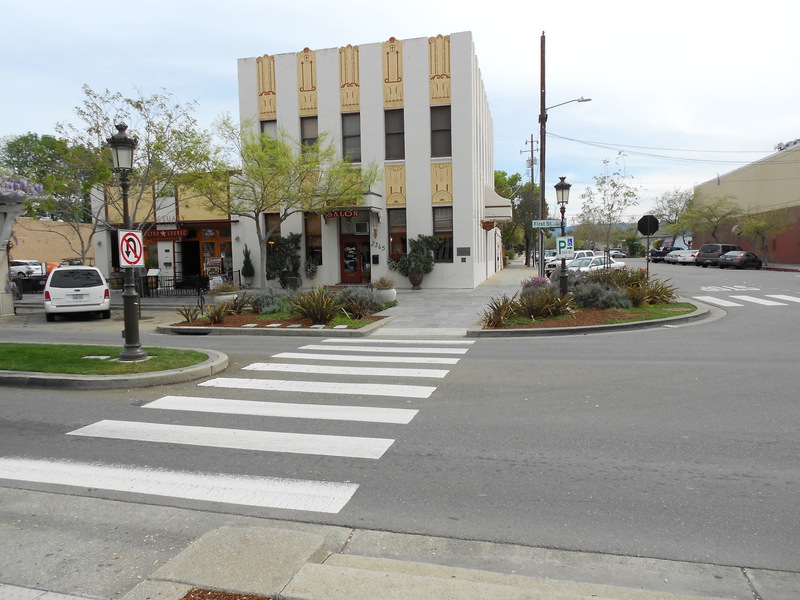 FINANCIAL BACKER, CONTRIBUTING 72,000 DOLLARS TO THE PROJECT. 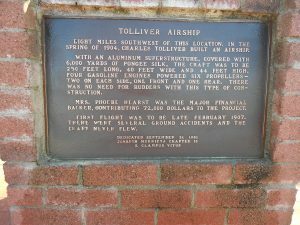 FIRST FLIGHT WAS TO BE LATE FEBRUARY 1907. 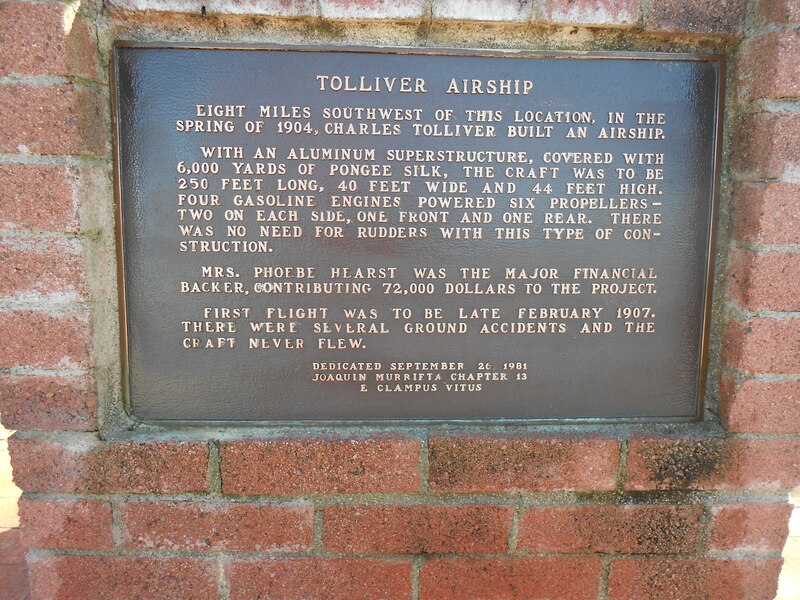 THERE WERE SEVERAL GROUND ACCIDENTS AND THE CRAFT NEVER FLEW. 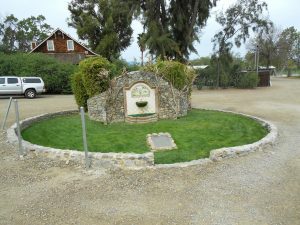 CALIFORNIA’S FIRST VARIETAL WINE LABEL, SUAVIGNON BLANC. 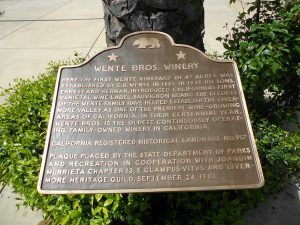 THE EFFORTS OF THE WENTE FAMILY HAVE HELPED ESTABLISH THE LIVERMORE VALLEY AS ONE OF THE PREMIER WINE-GROWING AREAS OF CALIFORNIA. 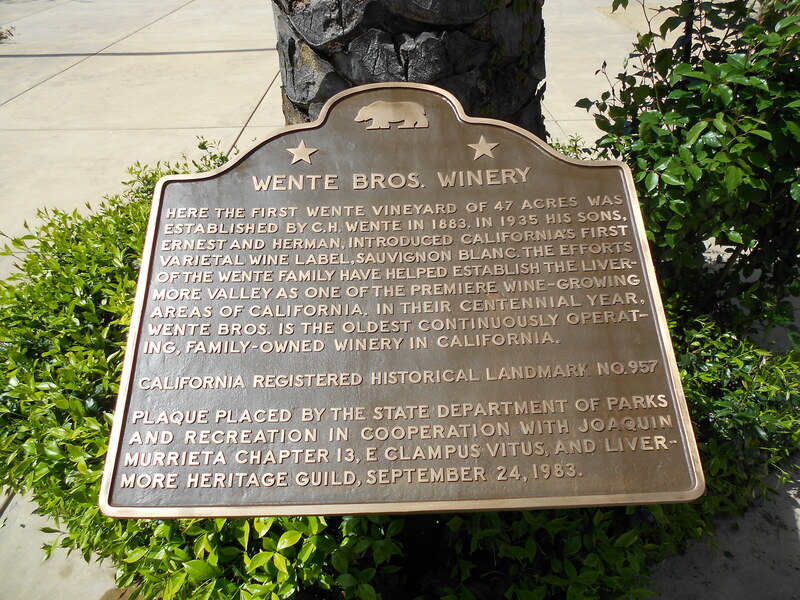 IN THEIR CENTENNIAL YEAR, WENTE BROS. IS THE OLDEST CONTINUOUSLY OPERATING, FAMILY-OWNED WINERY IN CALIFORNIA. 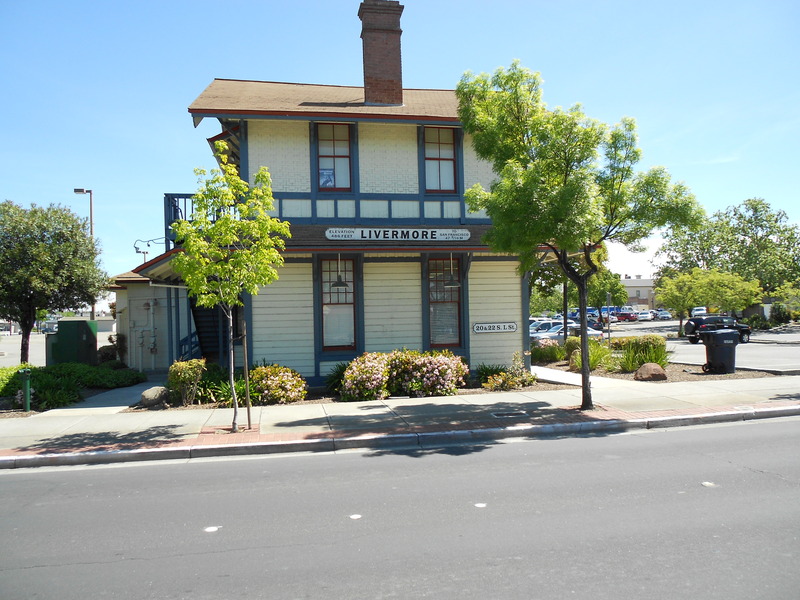 BUILT 1875, THIS BUILDING WAS FIRST A HOTEL THEN THE LIVERMORE VALLEY BANK. 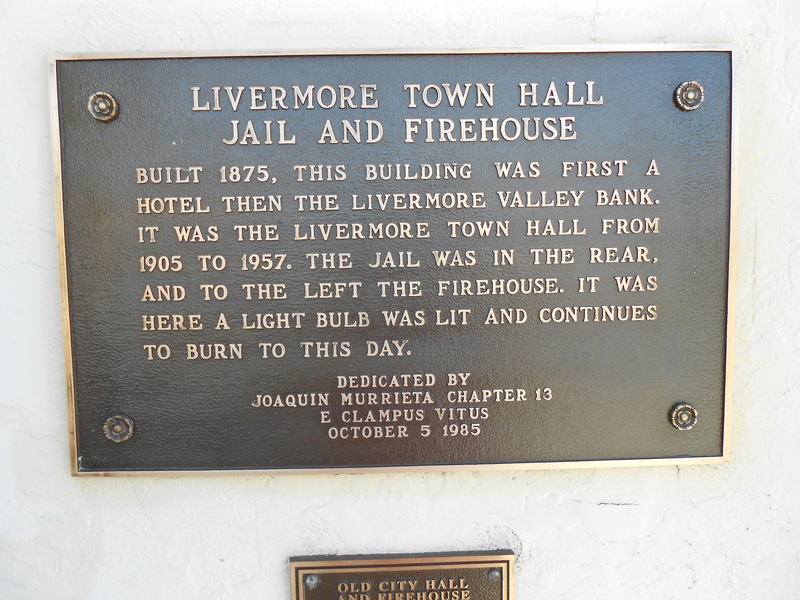 IT WAS THE LIVERMORE TOWN HALL FROM 1905 TO 1957. 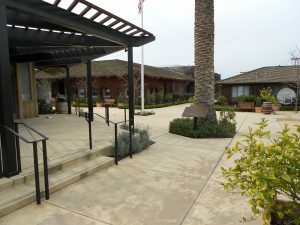 THE JAIL WAS IN THE REAR, AND TO THE LEFT THE FIREHOUSE. 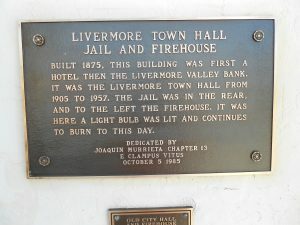 IT WAS HERE A LIGHT BULB WAS LIT AND CONTINUES TO BURN TO THIS DAY. 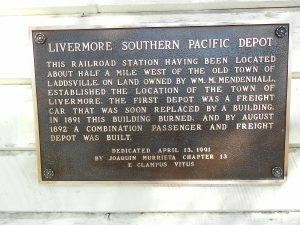 THIS RAILROAD STATION HAVING BEEN LOCATED ABOUT HALF A MILE WEST OF THE OLD TOWN OF LADDSVILLE, ON LAND OWNED BY WM. 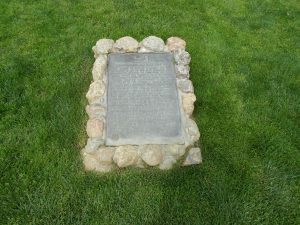 M. MENDENHALL, ESTABLISHED THE LOCATION OF THE TOWN OF LIVERMORE. 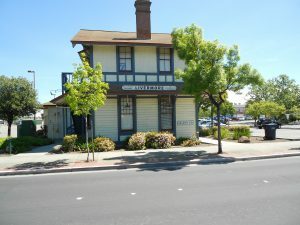 THE FIRST DEPOT WAS A FREIGHT CAR THAT WAS SOON REPLACED BY A BUILDING IN 1891. 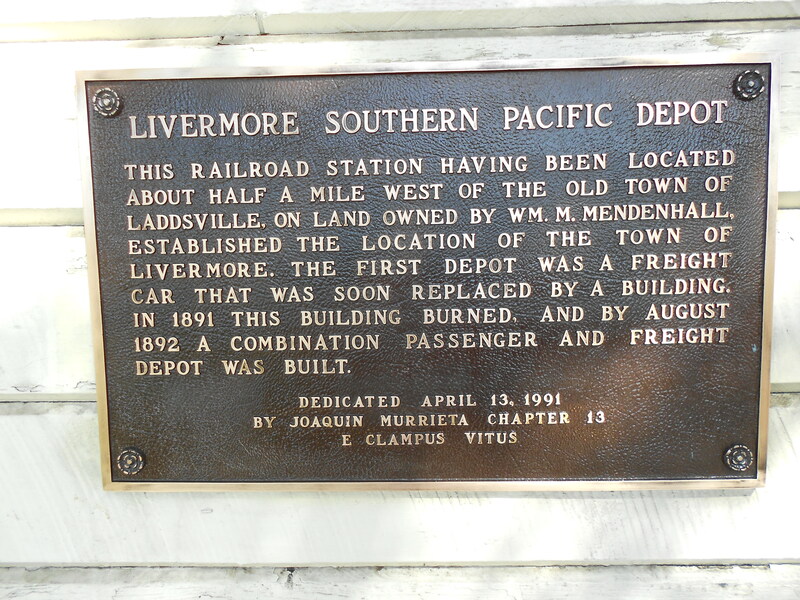 THIS BUILDING BURNED, AND BY AUGUST 1892 A COMBINATION PASSENGER AND FREIGHT DEPOT WAS BUILT. THE LEGEND OF JOAQUIN MURRIETA AND HIS HORSEMEN IS ONE OF THE MOST ENDURING AND FASCINATING CHAPTERS IN CALIFORNIA HISTORY. 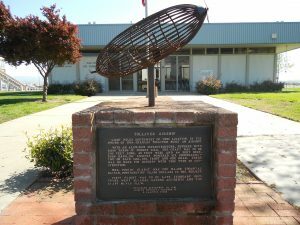 FACTS, FICTION AND ROMANTIC TALES ENTANGLE TO CREATE A LEGEND OF UNIQUE AURAS THAT HAD BECOME PART OF CALIFORNIAS FOLKLORE, ESPECIALLY IN THE LIVERMORE VALLEY WHERE JOAQUIN WAS A FREQUENT VISITOR. 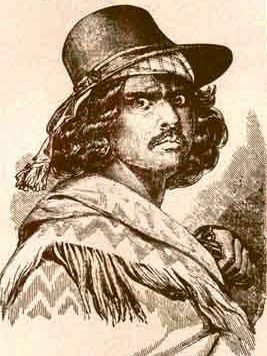 IN THE EARLY 1850S JOAQUIN MURRIETA ROAMED THIS LAND. 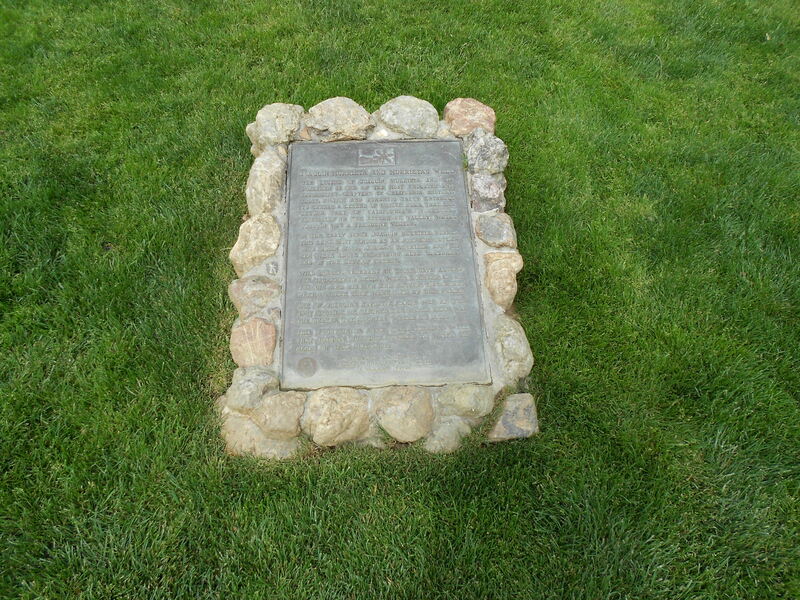 SOLD AT HIGH PRICES. ONE OF JOAQUINS FAVORITE CAMPS WAS AT THIS SPOT BECAUSE HE CLAIMED THE WATER HERE WAS THE BEST IN THE COUNTRY WHERE HE RODE. THIS FOUNTAIN IS OVER THE ARTESIAN WELL THAT JOAQUIN MURRIETA FAVORED TO WATER HIS HERDS OF WILD MUSTANGS.